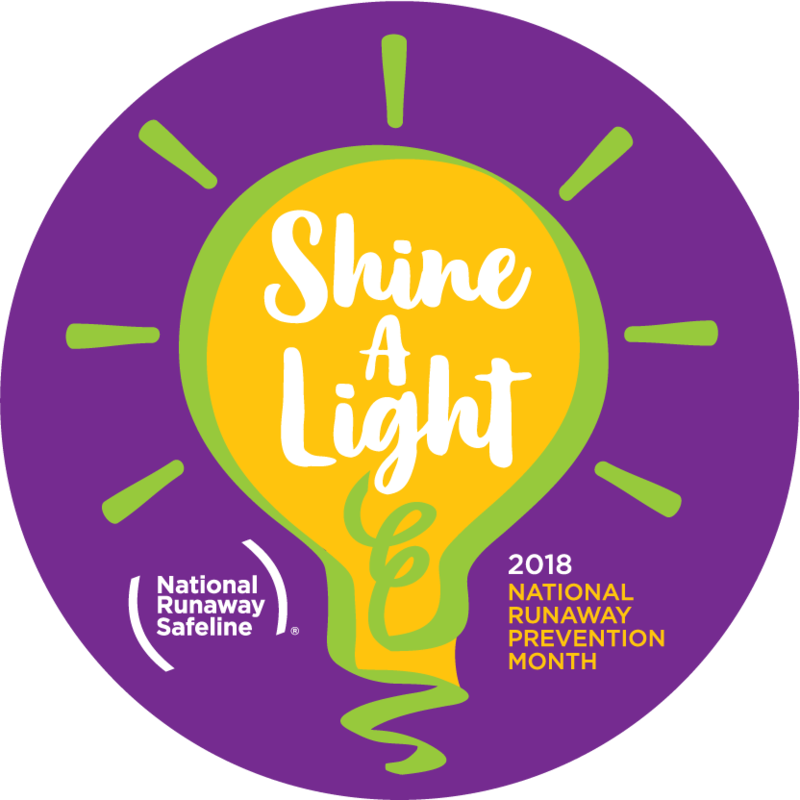 It’s the first week of October which means we’re officially less than a month away from National Runaway Prevention Month (NRPM)! If you don’t already know about NRPM, every November organizations across the nation come together for this awareness and prevention campaign focusing on the experiences of runaway and homeless youth. This year’s theme is “Shine a Light” so not only are we shining a light on the issues runaway and homeless youth (RHY) face every day, but also on the resources available to youth in crisis and those experiencing homelessness. We have a variety of national events taking place in November but we also encourage you to host your own events and activities in your workplace, schools, and communities. For a list of our national events and to download our promotional materials visit 1800RUNAWAY.org/nrpm. 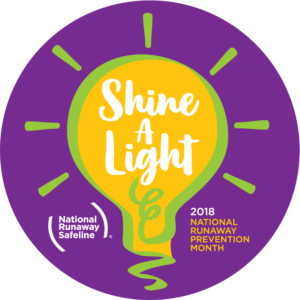 Include a message about National Runaway Prevention Month in your organization/community’s newsletter! Start picking out your green wardrobe! On November 6, we’ll be wearing green and posting pictures on social media to kick off the month. Share your activities and events with us! We’ll help promote on social media and add it to our calendar of NRPM events. Start spreading the word on your social media accounts! Use the hashtags #NRPM2018 and #endyouthhomelessness. We’ll be sharing all your content through these hashtags. Send us your November events and activities so we can share on our NRPM Community Calendar! If you have questions or would like to become a #NRPM2018 Partner, please contact Rachel Reynolds at rreynolds@1800RUNAWAY.org.